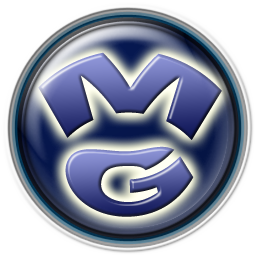 Mana Games was founded in 2004 in south-east of France by a solo Indie game author Emmanuel Rivoire, aka ManuTOO. He's a passionate developer, who loves to create and play video games. His wish is to do the best games, innovative and fun, and bring them to you. He cares a lot about your wants and your needs, and does his best to have you as a satisfied customer. As a developer, he creates his games with passion and devotion, and nothing makes him happier than knowing you enjoy to play them. He's a big tennis fan, and he always listens to comments in order to improve his tennis games "Tennis Elbow" and "Tennis Elbow Manager". So if you want to play a tennis game, give them a try ! Details about our Refund Policy can be found here : Refund Policy. We are always looking for retail distribution, usually dealing the exclusive rights on one or several specified territories, for a flat-flee. We are not interested in online distribution deal, except for affiliate sales (with BmtMicro). ATP Rankings, Tennis News & Results @ Steve G Tennis The latest ATP rankings, tennis results & news, tennis stats & live scores.